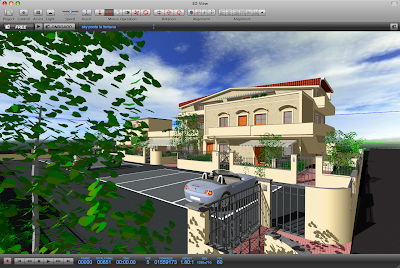 We have always been big fans of SketchUp here at digital urban, it is without question one of the quickest and easiest 3D modelers out there for visualization. That said, animation has always been slightly lacking which is why we are intrigued by Sketchers Studio for the Mac which takes .skp files into a 3D film studio setting. See http://sketchersstudio.com for full details and a trial download, the full version is currently available for $59. Thanks go to maoltuile for mentioning Sketchers Studio in the comments to our post on hyperShot, Realtime Rendering for Windows and Mac.